Over the weekend I finally finished my dragon scale cloak! Pictures will follow eventually, it’s a huge beast and hard to photograph. I used the same yarn that I used for the cloak (Bernat Mosaic in Envy, unfortunately discontinued) and may release patterns for both eventually. Definitely planning to, but that cloak is such a huge project! Getting back to creating crochet items feels really good though. I hope to make more time for it next year! 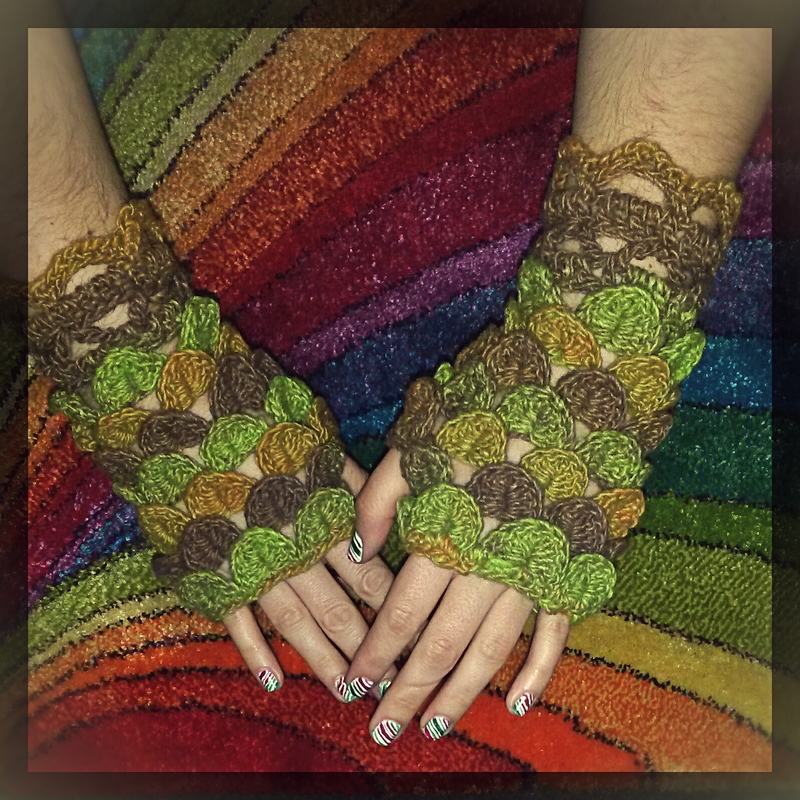 This entry was posted in Blog, Crochet and tagged bernat mosaic, crochet, crocodile stitch, dragon, fingerless mittens, pattern, scale. Bookmark the permalink.